November Charity Pie Night benefiting the Madison Education Foundation! Tomorrow is the third Friday of the month, and this month it is guaranteed to be a little sweeter. Celebrate Thanksgiving early by coming to Practical Art from 7:00-9:00pm for this month’s Charity Pie Night! Purchase a slice of delicious pie, and revel in the fact that all proceeds support the inspiring work of the Madison Education Foundation. Our featured Charity works diligently to bring arts education back into the classroom. As most of you probably know, arts programs have been losing funding in schools across the nation. Drama programs, music classes, and fine art classes are often the first to feel squeezed by budget cuts and the increasing emphasis to support reading, math, and science. Reading, math, and science are incredibly important—but we happen to believe that the arts are too. Which is why we love the Madison Education Foundation. The Madison Education Foundation provides students with exposure and access to arts, while maintaining focus on overall student success. Their mission is close to the heart of Practical Art. So come on down tomorrow night, enjoy the tantalizing flavors of a Vonceil’s Pie (baked by our very own pie master, Karen Olson), and support this wonderful cause. A $5 donation gets you a slice of a Vonceil’s Pies creation! A $10 donation gets you as many in-house tastings as you’d like! All donations, PLUS 10% of all sales that day, will be donated to Madison Education Foundation! Posted on November 19, 2015 November 19, 2015 Categories Featured CharityTags arizona, art, az, baker, black friday, charity, charity pie night, donation, fundraiser, giving, good causes, handmade, holiday pies, holiday shopping, Karen Olson, local art, madison education foundation, phoenix, phxart, pie, Practical Art, shop local, small business saturday, Vonceils piesLeave a comment on November Charity Pie Night benefiting the Madison Education Foundation! There’s an important day that seems to get lost in the shuffle with all of the hubbub about Black Friday and Cyber Monday. 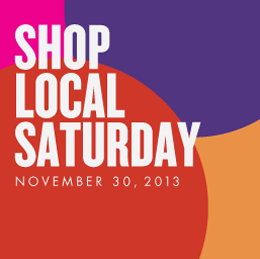 That day is Shop Local Saturday on November 30…a pretty important day in our book. If you’re anti Black Friday madness but pro not procrastinating, Shop Local Saturday just might hit your shopping sweet spot. You can also feel good about supporting your favorite local businesses. Besides hitting up Practical Art (it’s okay to name-drop yourself on your own blog, right?) there are so many other great, locally owned shops to find your muse in Phoenix. Here is a mix of 10 of our favorite Phoenix locales for you to check out all right around Camelback and Central. Cheers, and happy shopping! Frances Vintage – They’re slogan – a “modern boutique with vintage charm” – says it all. Here you’ll find gifts that are eclectic and classy with that vintage soul. Plus they are hosting their 8th Annual Crafeteria on December 6…one of our favorite events. Stinkweeds – Around since 1987, Stinkweeds is an iconic music store that is as independent as it gets, focusing primarily on imports and independent labels. With more than 19,000 albums, you can bet you’ll be able to find what you’re looking for. If not, they’ll track it down and order it! The Torch Theater – Not for the faint of heart, this is a creative hub for improv. If you have someone on your list who loves to ham it up or wants to come out of their shell, consider one of their improv classes and customized workshops. 180 Degrees Automotive – What is the 180 degree difference at this shop? Well, it’s owned and operated by women! This awesome car repair shop is friendly, efficient, and even offers classes. Bikram Yoga – If you haven’t experienced Bikram Yoga yet, this is the ideal time of year to check out this studio. Owner Brooke Sterling has been practicing yoga since 1992, and became certified in Bikram in 2000. A great gift for the active person in your life, or even for yourself if you need a reprieve from the holiday stress. Slippery Pig Bike Shop – Love bicycles? Slippery Pig is calling your name. Here they only offer the best bikes, from the best brands for their customers. They believe in quality product and service all the way around. Modern Manor – A great mid-century, modern furniture store located in a stylish warehouse. They offer amazing hand-selected furniture you’ll be hard pressed to find elsewhere. Tammie Coe Cakes – Just walking into this place is worth the visit! From the most beautiful cakes to mouth-watering cupcakes, cookies and breads, Tammie Coe Cakes is a must-stop for anyone with a sweet tooth. Lux – If you need a recharge while shopping local, swing by Lux for delicious baked goods, seasonal breakfast, lunch and dinner menus, and amazing espresso and adult bevies. It’s great for socializing or people watching too. Postino – For a midday or end-of-day reprieve visit our awesome neighbors to the north. Bruschetta, wine and beer…need we say more. Of course you don’t have to wait until November 30 to shop your favorite locally owned business. Many are likely offering Black Friday deals without the mass crowds. Here at Practical Art we’ll be sipping mimosas and nibbling on pastries during our Black Friday Brunch (we’ll be sharing too of course). We’re also giving Practical Arts t-shirts to the first 15 shoppers and on Friday and Saturday you can earn $10 Practical Art gift cards for every $100 you spend. November Happenings at Practical Art! There are so many things to love about November – pumpkin pie, eggnog (if that’s your thing) and the ushering in (or so we thought) of fall weather. It’s also event season – Thanksgiving, Black Friday, Shop Local Saturday, Cyber Monday (our web store wants some love too), not to mention the awesome events we have going on at Practical Art! Here’s a quick preview. Hopefully you can join us at some or all! 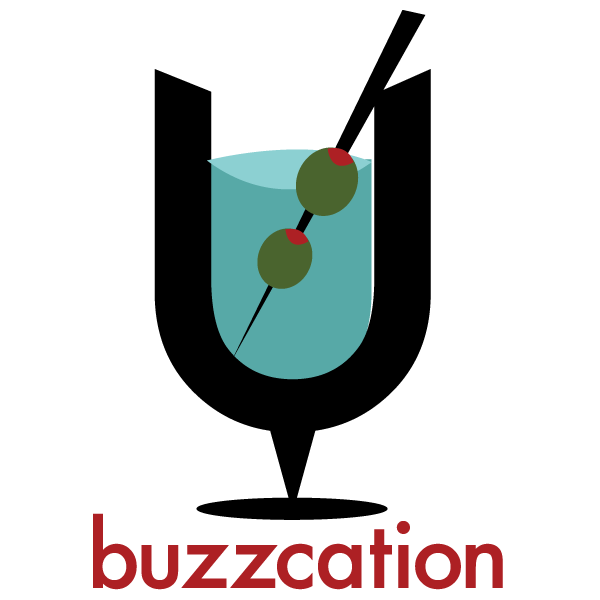 Buzzcation, Tuesday, November 19th starting at 5:30 p.m.-We are hosting Buzzcation for their 4 year anniversary celebration! There will be drinks, a canned food drive, and lots of local art so you can start your holiday shopping! 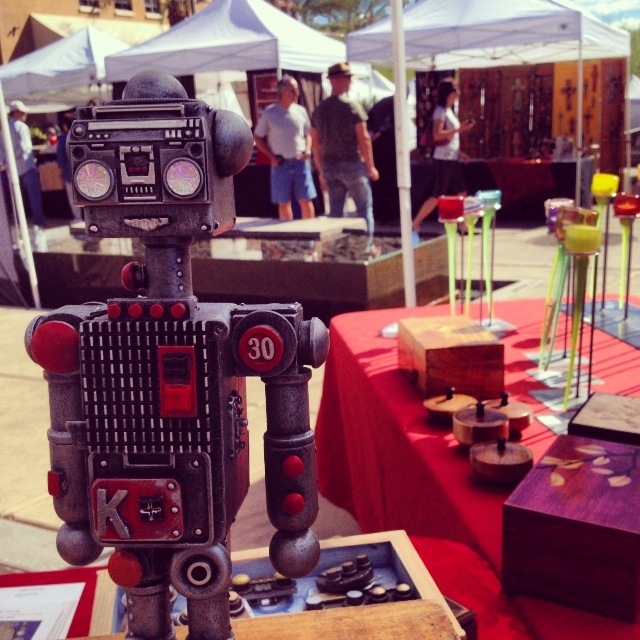 Scottsdale Art Market, Every Sunday, 10 a.m. – 4 p.m. – Shop small and local in this low-key, fun environment. The weather is just right for strolling the streets on the weekend at a great art market, plus we’ll be there! Scottsdale Art Market, Every Thursday, 5-10 p.m. – Ah-hem… we’ll be at this one too. A Share of the Pie Charity Night, Friday, Nov. 22, 7-9 p.m. – Many of you know at Practical Art we love to mix fun with supporting a great community cause. This month not only will you be savoring another great creation from Vonceil’s Pies, but all proceeds go to benefit Phoenix Children’s Hospital. We’re particularly excited about this one as it also kicks off our toy drive. Just bring any unwrapped gift and get a slice of pie in exchange. 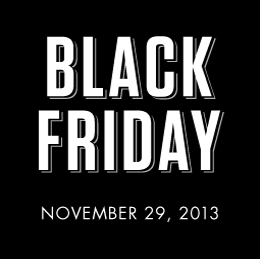 Black Friday, November 29, All Day! – Eat a pastry, sip some coffee or a brunch bevvie, and shop. Sound too good to be true? Not at Practical Art. We’ll have some great exclusive deals for Black Friday, and a nice little breakfast spread for all daring enough to venture out and shop on Black Friday. Shop Local Saturday, November 30, All Day! – Join us for a day of supporting small businesses in Arizona. If you plug us in towards the beginning of your shopping tour, we’ve got a whole list of our favorite locally-owned hotspots to suggest for the remainder of your route. Phew… that was a mouthful and those are just our November events! So whether you swing by to say hello at the art market, come hang out at A Share of the Pie Charity Night, or better yet, attend each and every one of these great events– we look forward to seeing you! Posted on November 16, 2013 January 18, 2015 Categories EventTags arizona, artisan, az, black friday, blogger, buzzcation, charity pie night, craft, cyber monday, events, handmade, holiday, local, local artists, november, phoenix, Practical Art, scottsdale art market, shop local, shop local saturday, things to do in phoenixLeave a comment on November Happenings at Practical Art!